There is a famous saying in boxing which is always true when you step into the ring of “protect yourself at all times”. Most referees will say it to the boxers before a bout and nowhere has this point been proved more than when Floyd Mayweather faced Victor Ortiz in 2011. After having a point deducted for a headbutt, Ortiz tried to have a conversation with Mayweather in the middle of the ring after the referee called the fight back on and Mayweather decided he would rather give the defenseless Ortiz a left hook and then a straight right. It was within the rules and Ortiz should have been protecting himself. There are times though when a boxer needs to be protected from themselves. This could be in terms of their corner throwing in the towel, taking away their license after a concussion or setting an age limit when someone is allowed to box. Sometimes there are rules in place which are going to be there with a fighter’s best interests at heart. While many people say that age is just a number, that is of course completely untrue. As you get older your body and mind start to slow down and you can no longer do what you want to do which is why you very rarely see an athlete beyond the age of 40. There are athletic events such as sprinting, for example, where once you get to the age of 30 you are pretty much done. In boxing, there is not only the effect the clock has on your body but also the effect that taking numerous punches has on the brain. A lot of boxers retire not because they have lost the passion but because they are thinking about their long-term health. If you are 40 years old, have never boxed before, but want to get involved in a charity event then this wouldn’t be an issue. The issue obviously comes with trying to get into the sport when there are young professional boxers who are looking to make their mark within the sport and take your head off. You can obviously start learning the technical aspects of boxing at any age, as there would be no physical contact to worry about with the head. If a young child is interested in the sport of boxing then they are able to start whenever they want before they move onto sparring. Amateur boxing can be practiced from the age of 10 which is a good age to be able to start to advance your learning onto the next level, most professional boxers start boxing well after that but if you have a young kid that wants to get stuck into the sport, then the type of control that they are given at 10 wouldn’t be a problem. At that age they obviously don’t have the power to seriously hurt anyone and they will always be kept with others who are at the same size. Added to that they will always be wearing heavy gloves with headgear which means there is very little to worry about. You wouldn’t get a license to start competing though until you were 15 years old where you would be categorized as a junior boxer who would be able to fight other junior boxers. After that, between the ages of 17 and 18 you’d be regarded as a youth boxer and then anything over the age of 18 is open age. While the amateur game might have more specific rules, it may surprise you to learn that the professional game does not. Instead, it all works on a matter of discretion where they will decide if you are fit to box based on a number of different factors including medical records. What is required before you start competing? As you can see there, anything about age is missing, but the fact is that you can’t just go straight into the world of professional boxing without doing some work in the amateurs or another combat sport, unless you’re Andrew “Freddie” Flintoff, of course. In order for the board to approve your application, you need to be able to prove that you are fit to be a professional boxer and there are many people who have been denied a license. If are at the age of 40 and want to start competing in the world of professional boxing, then unfortunately it’s never going to happen. While age isn’t specifically listed as a rule for the British Boxing Board of Control (BBBoC), it is obviously going to be taken into account before you box. An unfit and overweight 25 year old is going to find it harder to get a license than a fit and healthy 35 year old though, and that’s where the discretion part will come into play. This discretion also seeps into other areas as well such as the drugs ban that Tyson Fury received and also the revoking of the license what happened to Derek Chisora and David Haye before they had their bout. There are often ways around these things in boxing, but only if you have a high profile. While there might not be an age limit in professional boxing, there is a limit in the amateurs and that has now been set at 40 by the International Boxing Association (AIBA), which confusingly used to be called the Association Internationale de Boxe Amateur but still kept their original abbreviation and logo. If you’re reading this and your 30 years old and wondering if you have enough time to get into the sport and become a professional boxer, then you have more than enough time. You would be able to head out to a gym, see if you’re good enough and if you are, you can go from there. There is plenty of inspiration when it comes to old age and boxing, even in this modern world where there is a lot more emphasis placed on someone’s safety and well-being. Especially if you are getting into the sport late, you wouldn’t have had the concussions and punches that others would have taken. Bernard Hopkins is a great example of a boxer who was still achieving great things in the sport well into his 40’s which was seen when he won a world title at the incredible age of 48. He kept his body in great condition and even though he was well past his prime at that point. He was still a great fighter. Another recent example of a boxer who turned professional late was Joe Joyce who only decided to become a pro at the age of 31. He did have a great amateur career though but it shows that you can still step into the professional game quite late. What you have to decide is whether you are young enough and fit enough to prove yourself to be a good professional boxer before the age of 40. Again, this is where it can be difficult to give any solid advice as you could start training at 37, won most of your amateur bouts by the age of 39 and still be rejected by the BBBoC. If you are at that age then it’s unlikely that you could have a decent professional career anyway as by the time you would have had a good amount of professional fights, you’d be in your mid-40’s and still not earning a decent level of money. If you’re looking at this in your early 30’s or late 20’s though and thinking that you wished you would have gotten into boxing sooner, it’s definitely not too late. You will soon find out in sparring if you have a natural talent for it and if you do, a good career could be lying in wait. There are generally three main reasons why a boxer would stop competing at a professional level. The first one is what happened to the likes of Carl Froch. After knocking George Groves out in front of 80,000 people at Wembley, as he likes to remind everyone of, the fire to fight died and he knew that he could no longer get himself up for those long training camps. The second is the reason that we see with the likes of Tony Bellew where the fire is still there, he is still at his peak level but he is in good health and wants to keep it that way. He’s made his money from the sport and he knows that there is no point in risking his future for a bit more money. He boxed from a young age and stopping the blows to his head is the wise thing. The third reason is what happened to the man he fought in the past, David Haye. Haye retired for the first time for the same reasons as Bellew but came back as he still had the fire in his belly and hadn’t had a punishing career. In Haye’s case though, his body had let him down and he knew that he couldn’t get it into a good enough condition to fight. This was shown with his injury in his first fight to Bellew and by the rematch, it was clear his body was done. For the aspiring boxer though who might think they are starting to get too old, the first two reasons don’t apply. You will have that desire to compete in the sport and you wouldn’t have to worry about your long-term brain health as you wouldn’t have had a lifetime of boxing behind you. The third only applies if your body is not in great condition. If it is then there is no reason to pursue a career in boxing. There is no age limit in professional boxing but you have to prove yourself to be worthy to fight. You can only do that by shining in an amateur ring, and you have to do that by the time you are 40. 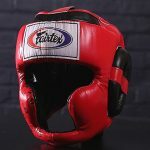 Previous articleBest Boxing Headgear 2019: The Top 5! Next articleWhy Is Cardiovascular Endurance Important For Boxing?